Tin based alloys are classified as soft solders. Soft soldering is referred to as the joining of metals through the use of heat and an alloy consumable with a melting point of less than 450°C. This process is used to join metallic pieces, where the solder alloy melts and flows by capillary action through a narrow separation between the pieces until it solidifies and produces a sound joint without melting the base metals. 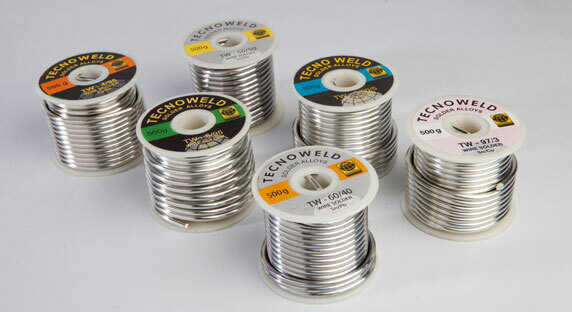 These solder alloys are used in potable water (cold and hot) and gas piping installations, at low pressures, as well as in electric and electronic contacts. Nowadays, the use of lead as an alloying element in solders has been prohibited in most developed countries because of its harmful action in human health. Therefore, tin solders must be lead free. If you need solders with a specific composition, please communicate with us.